Jenny likes getting to know our patients and makes the effort to ensure they have a comfortable and pleasant experience each time they come visit. For Jenny, helping people accomplish their dental goals and forming friendships along the way is a gratifying experience. As Office Manager, Jenny manages the day-to-day operations of our practice, ensuring everything runs smoothly, so the team can focus on what’s important -- our patients! Jenny graduated with a B.S. from UCLA. When not working, Jenny enjoys volunteering with her church and the company of her family and friends. She also loves to travel, run, snowboard, play soccer, and hike. Briana excels at making our patients feel at home during their visits. She loves it when patients who used to be afraid of seeing the dentist look forward to coming to see us; she also loves when a patient regains the confidence to smile, because of the care we’ve provided. Understanding that financial aspects of dental care can be stressful, Briana strives to find terms that work with a patient’s budget. She also schedules appointment times that work with people’s busy lives. Briana gradauted with a B.S. from the University of the Pacific in Stockton. Outside the office, Briana enjoys running, baking, and gardening and spending quality time with her family and friends. Kimberlee is the insurance expert around the office and is quite savvy in helping our patients verify and maximize their insurance benefits. She's proven time and time again that she is willing to stand up for our patients to get them the insurance coverage they need. Her dedication to our patients and her attention to detail make her an integral member of our team. Kimberlee grew up in Fremont, CA and graduated with a degree in Neurobiology, Physiology, and Behavior from UC Davis. Formerly, Kimberlee was a competitive gymnast. Now she enjoys coaching the high school team at her alma mater. 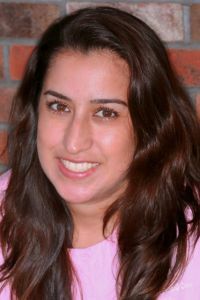 Additionally, she enjoys spending time with her family and running an occasional half marathon with her three siblings. 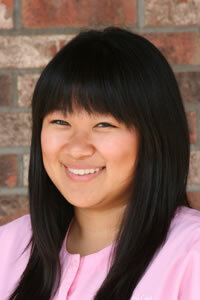 Many of you might already be familiar with Mai (pronounced like "my"), our Specialists Coordinator. She worked with us a few years back and built up a pretty positive rapport with our patients for her helpfulness, kindness, and fun vibes. After taking a sabbatical, she is rejoining our team, and we're so happy to have her back. 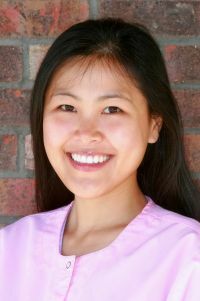 As our Specialists Coordinator, Mai works closely with our Orthodontist and Periodontist to make your patient experience as smooth and pleasant as possible. Sandra’s calm and gentle demeanor help even the most anxious patients relax during their dental cleanings. She loves meeting families and watching the children grow up. Motivating each patient to take care of their oral health is always Sandra’s focus, and she loves the hugs from kids at the end of their visits. Sandra educates her patients about good home dental hygiene and how to keep their smile in great shape. Seeing a healthy smile at a recall visit is a highlight of Sandra’s day. Sandra graduated with a B.A. from UC Berkeley. She formerly worked in the biotechnology sector before making a drastic career and completing the Dental Hygiene program at Foothill College. On the weekends, Sandra is likely out exploring the great hiking trails in the Bay Area. She enjoys finding new restaurants, spending time with family, and loves to travel. 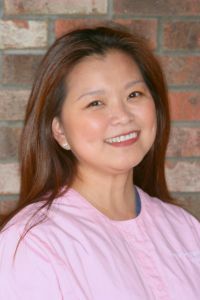 Joanne began working in the dental field in 1998. 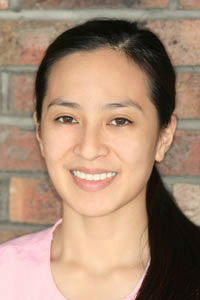 She studied dentistry in the Philippines and practiced as a public health dentist until 2001. In 2015, she got her degree in dental hygiene at Chabot College in Hayward California. Outside of work, Joanne is happily married with two teenage kids. She enjoys early morning walks with her pup, Pepper, and really enjoys being outdoors. Luisa is the newest member of our hygiene team! 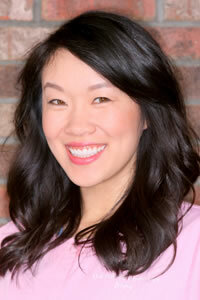 She enjoys getting to know our patients and finds it very rewarding to help our patients improve their oral health. Luisa grew up in Panama, and is fluent in Spanish, Cantonese, and Mandarin! She graduated from UC Davis with a Bachelor of Science. Thereafter, she went to Dental Assisting school at City College of San Francisco and Dental Hygiene School at Chabot College. In her spare time, Luisa likes to hike, jog, watch operas and musicals, and try out different restaurants with her friends and family. Jade greets everyone with a friendly, happy smile that makes them feel welcomed and reassured that they’re in the right place. She talks with patients about their dental worries and helps them work through their concerns. Working chairside, Jade assists our doctors. She makes sure the doctor has everything they need, but concentrates on the patient. Telling the patient what’s going on, and providing encouragement, makes every visit more enjoyable, Jade believes. Jade is originally from Vietnam. She has a teenage daughter and three older step-children. In her free time, she enjoys being with her husband and family. Jade likes to cook, exercise, and travel. Rebeca has built up quite a reputation for her cool, calm demeanor and her exceptional clinical skills. 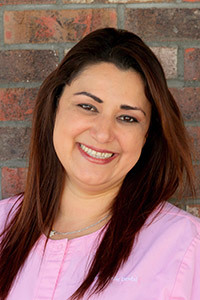 Rebeca has over 15 years of experience working in orthodontics. She loves getting to know our patients and watching their teeth transform into a beautiful smile. Rebeca received her Orthodontic Assistant Certification from Dental Specialties Institution. Rebeca has two wonderful boys whom she loves spending time with. Outside of work, she'll typically be shuttling her boys to their sports practices and games. On the rare occasion she has free time, she likes to exercise and spend time with her friends. Joanne loves helping people improve their oral health, overall wellness, and their smiles. 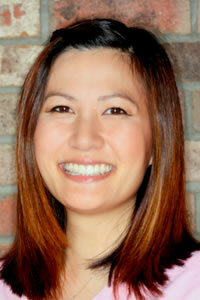 She works closely with our orthodontic team and performs a lot of our in-office lab work. Joanne is very gentle, friendly, and detail-oriented, which makes her the perfect fit for our practice! Joanne is originally from the Philippines. She is a working student, studying for a B.S. in Healthcare. In her spare time, Joanne enjoys time with loved ones, as well as reading, swimming, and hiking. Gigi joined our office in 2018, bringing with her more than 13 years of experience as a dental assistant. She works alongside our doctors during dental procedures, in addition to maintaining and sterilizing our instruments. Gigi is a very social, happy person who loves to talk with patients and get to know them on a personal level. Gigi is married and has one child. Her hobbies include working out, dancing, camping, and travel. She loves watching movies, taking care of her family, and following up on surgery technology in all medical fields.